In 2018 we're beyond my childishness. Gaming is a billion dollar industry spaning a myriad of devices. We're all interconnected online with our games and can discuss them on any number of social media networks. I'm sure you'll find threads demanding a vegan option. If you'v played other games by Moe Bull Corporation, like Microgee, you know you'll find some clever fun throughout Meat Cannon Golf. The game is easy to pick up an dive into. Start the power meter to determine the distance of your drive, line up your shot, and swipe like crazy to fine tune distance and direction. Moe Bull doesn't rest on absurdity, they simply add it to their great games. It's a fun game, but more importantly, it's clever. There is enough "pure golf" to make a good golf game and then layer on the absurdity so folks like myself will get a kick out of it. I would never spend an afternoon wandering through 18 holes at great expense. I'm the guy who takes that same level of dedication and applies it to the local mini-golf course. I demand bright blue water falls, windmills, and the obligatory "clown's mouth" when I golf. 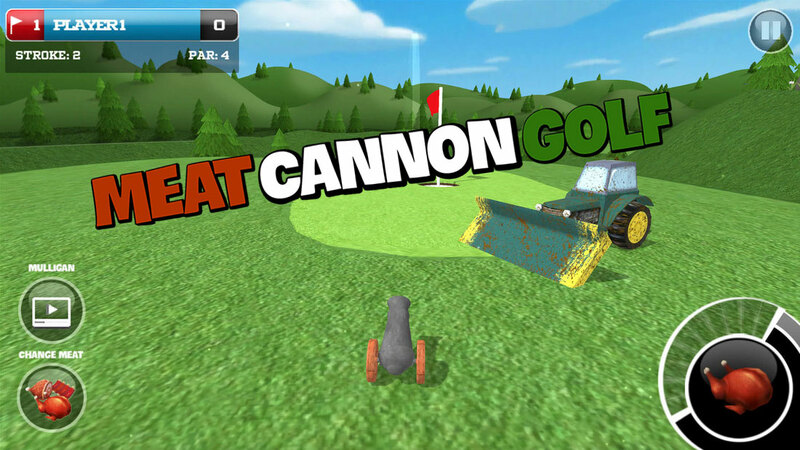 Suffice to say, Meat Cannon Golf is my kind of golf game. 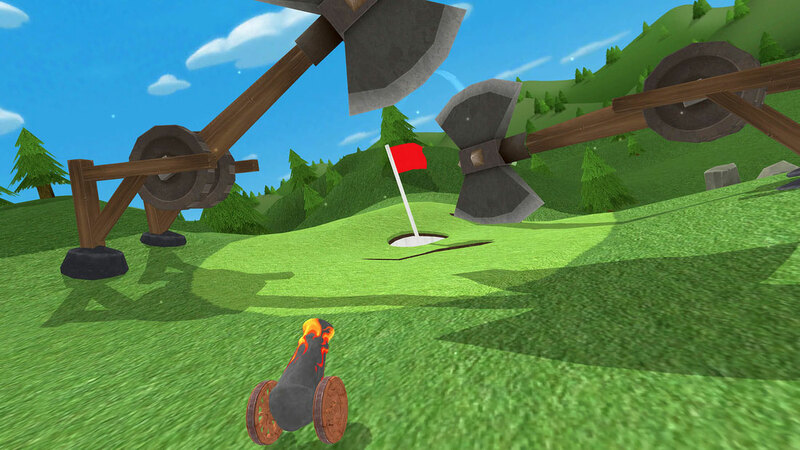 Available for both Android and iOS, it will make you smile and lets you apply your golfing prowess to a cannon with a variety of unlockable meats. Go for it... you know you want to.